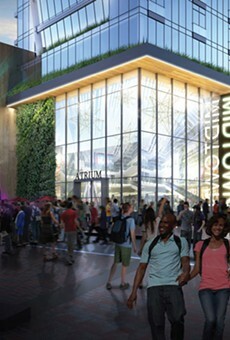 If you're tracking news about the proposed theater for Parcel 5, put July 31 as your next check-in date. That's the deadline for a new study that Mayor Lovely Warren wants done about the impact of the theater. It's "reasonable to assume" that the project won't move forward until that study is completed, says Warren spokesperson James Smith. LaBella Associates' conceptual drawing for a theater at Parcel 5 with apartments above the rear portion of the theater. Warren announced a Parcel 5 reboot earlier this week, adding an I-Max type movie theater and some outdoor performance space to the proposed RBTL theater and Morgan apartment tower. She also sent legislation to City Council, asking for approval of a new study related to the possible RBTL theater. Warren wants to hire DLR Group Inc. to provide more information about the theater's economic impact - job projections and other benefits, for instance. She also wants DLR to provide "verification of adequate financial sources" for the theater. 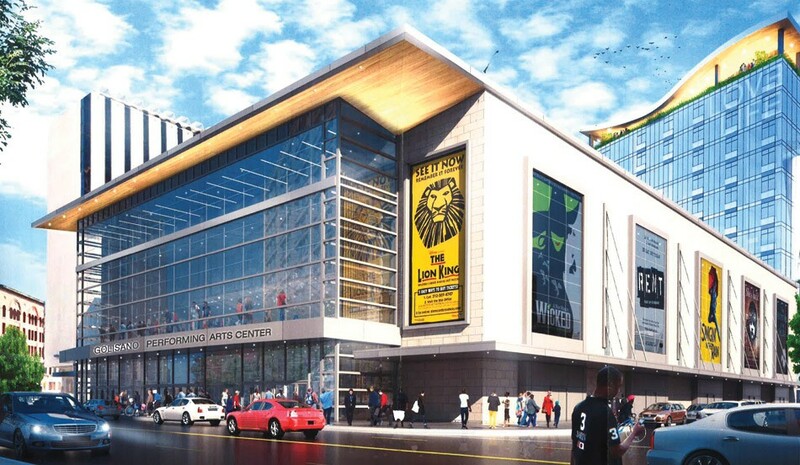 Although the theater part of the Parcel 5 project would be tax-exempt, Warren has long supported a theater development because she says it would add jobs, bring many people downtown to attend events, and boost economic development in that part of downtown. Is it possible to forecast direct positive or negative financial impact on other arts organizations? How can the entertainment center support the diverse arts organizations that exist in all areas of Rochester? What strategies have other entertainment centers used to minimize dark time and engage the surrounding community during the day and on nights that are not programmed? Once DLR has completed its study, Warren will review the findings, and if she is still convinced of the value of the theater-entertainment complex, she'll ask City Council to approve selling the land to RBTL and Morgan, Smith says.